First step to setup Personal Discount is to connect with Mailchimp. 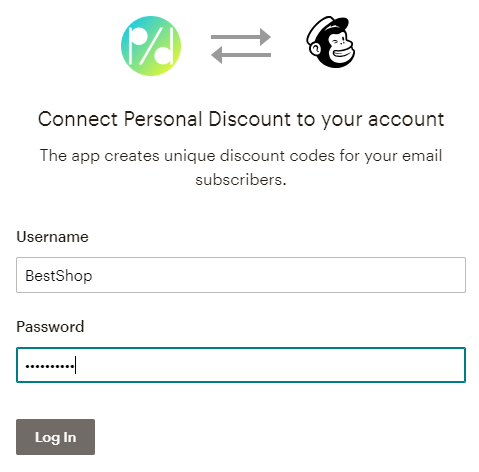 Personal Discount integrates with Mailchimp in order to get notified about new subscribers and assign unique discount codes to their profiles. Personal Discount does not store your credentials not even sees them for a moment. Authorization is handled by Mailchimp and if it passes then Personal Discount gets only an authorization token.